The latest development from Gloworm Performance Products – The all new Gloworm Alpha! This small form 1200 Lumen light sets the benchmark for quality, lightweight and affordable night riding like no other. 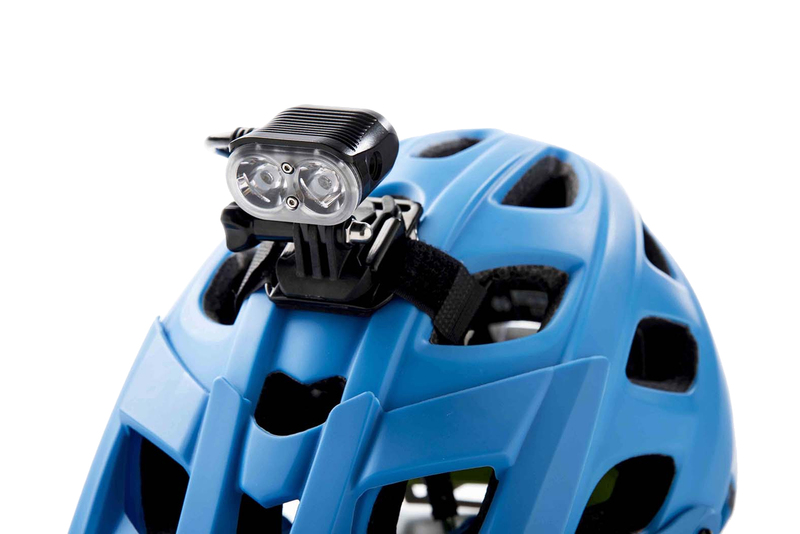 Weighing in at a meager 69g (light only) and with the smallest footprint of the Gloworm range, the Gloworm Alpha is the perfect option for helmet mounting. The Alpha is a premium price-pointed option for those looking at getting into night riding right through to the seasoned enthusiasts. A huge benefit of its design is the ability to mount on the front of the helmet meaning you’ll never catch your light on another overhanging tree. I borrowed this light while visiting some friends, I was initially worried about having only this one light on my helmet since I normally run much more lumen with a light on my bars as well. I'll come straight out this little light blew me away!!! Plenty of output and the color cast was perfect. The battery life easily lasted me an entire 2hr ride. I fell in love with this little light and all of its features! The GoPro mount is so perfect and all of the settings and build quality are top notch. I have now replaced all of my lights with Gloworms! I’ve used this light several times now an I really like it. It is beautifully made and surprisingly bright for its size. I also love that it comes with interchangeable lenses. 1. The included quick release is for 31.8mm bars. You will need to buy a separate quick release for 35mm bars unless you can "make it work" (like I did) by clamping down on the handlebar taper. 2. There is some stick-on foam provided in the box that isn't mentioned in any instructions. Apply this foam to the battery wherever it will be contacting the frame of the bike to prevent the battery from sliding and scratching the frame when mounted. I've found the provided velcro straps work great once the foam is applied, even on gnarly descents. Without the foam I don't think you could tighten straps enough to prevent the battery from sliding. 3. There is a wide/wide optic available that would be ideal if using this as a bar light as a combination with a helmet spotlight. No comment on the battery life yet since I haven't fully burned through a full charge. So far, this is a great all around light for any kind of night riding! Super light weight with a very powerful beam. I wear the light and the battery on my helmet and the weight is great. Does this come with the helmet strap for mounting? Does this light set include an extension cable? BEST ANSWER: Yes, there is an extension cable included. This will allow you to helmet mount the light and put the battery in your jersey back pocket. Yes, there is an extension cable that allows me to put the battery in my backpack while the light is on my helmet. Sure does......long enough to go from a frame bag to handlebars, or from a backpack to helmet mount. It’s long enough to have on your helmet and put the battery pack on a belt loop . Is there a bar mount or only helmet? BEST ANSWER: Comes with a bar mount and a mount for go pro mounts. I stuck a go pro sticker mount to my helmet and it fit perfectly (comes with the hardware to swap out). I installed a talled connection to use with the GP mount so it gives a better angle. Very slick design. Holds tight and easy to take off. So you need to buy a gopro mount also?